CKRC has taken the guess work out of mounting a winch on the Axial Wraith. Our new mount was designed for dual mounting positions. 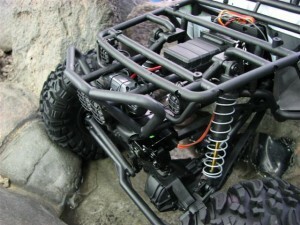 The 3Racing 1/10 scale winch can be placed behind or in front of the grille. The plate also has a machined groove between the lights for storing the winch hook. 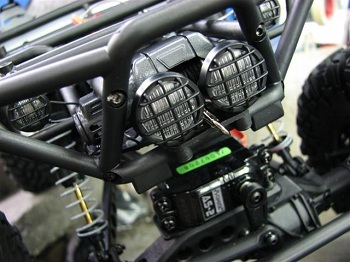 Both winch mounting positions still retain the front lights if you choose. Note: Requires a 3Racing 1/10 winch. Mounting A: If mounting the winch behind the grille .The 3Racing winch mount and roller fair lead can be used. Mounting B: If mounting the winch in front of the grille, cutting of the lexan grille will be required. A cnc machined aluminum fairlead from CKRC will be available soon.